I'll start with the eyeshadows. 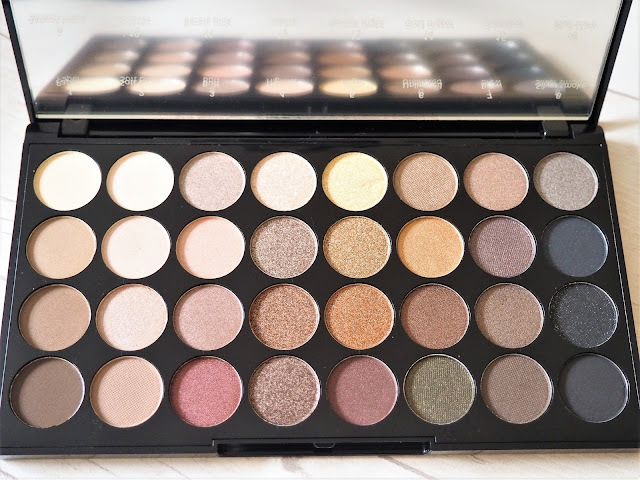 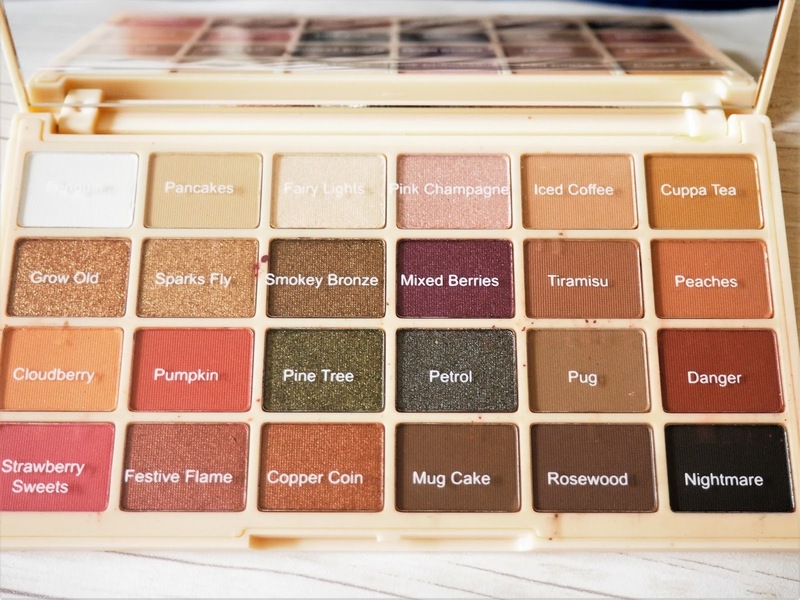 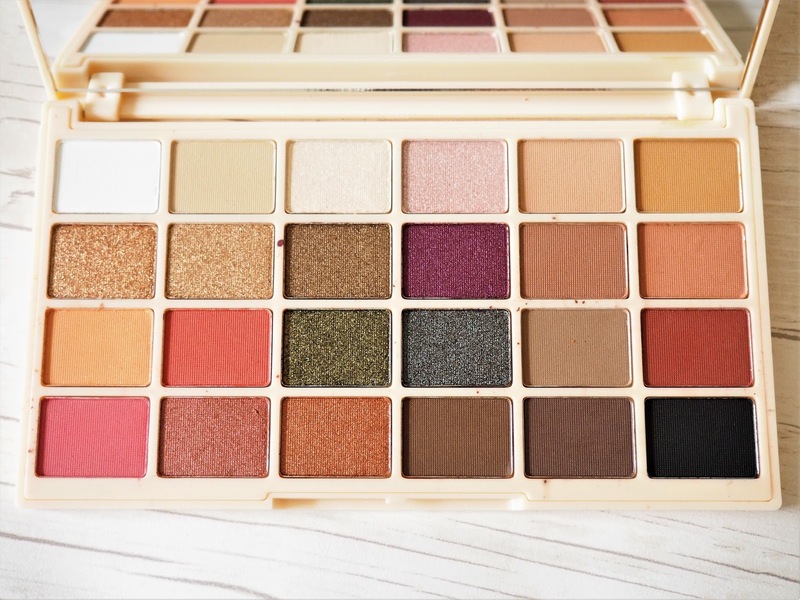 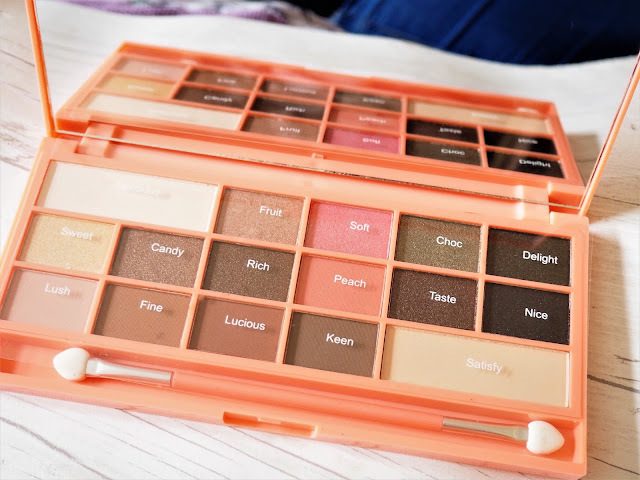 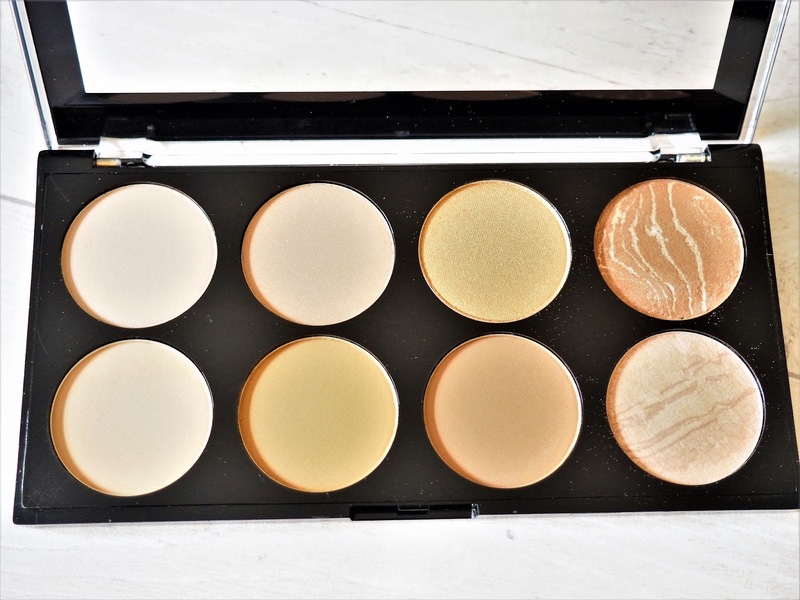 The Flawless palette is quite a basic one and has a comprehensive range of shades. 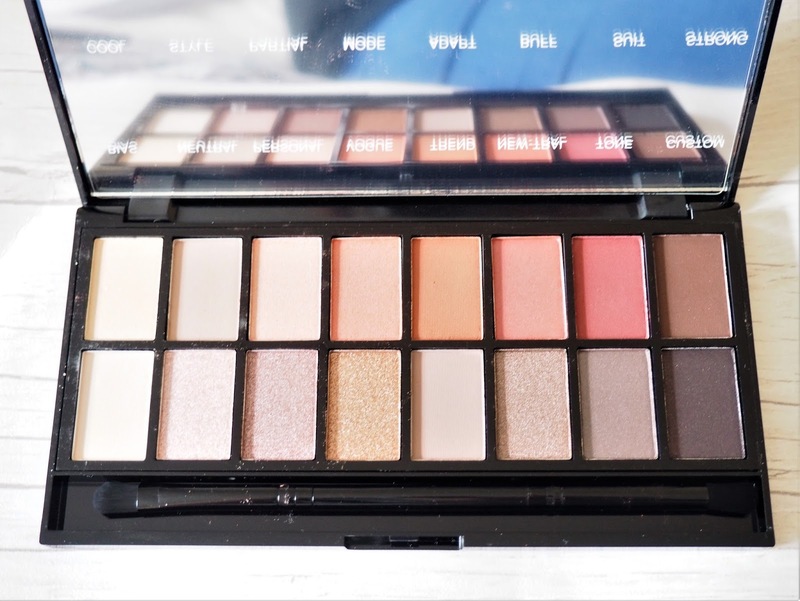 By far my favourite palettes are the two I Heart ones, which have a mix of both matte and shimmer shades. I also picked up the Soph palette which is a collaboration with Youtuber SophDoesNails. 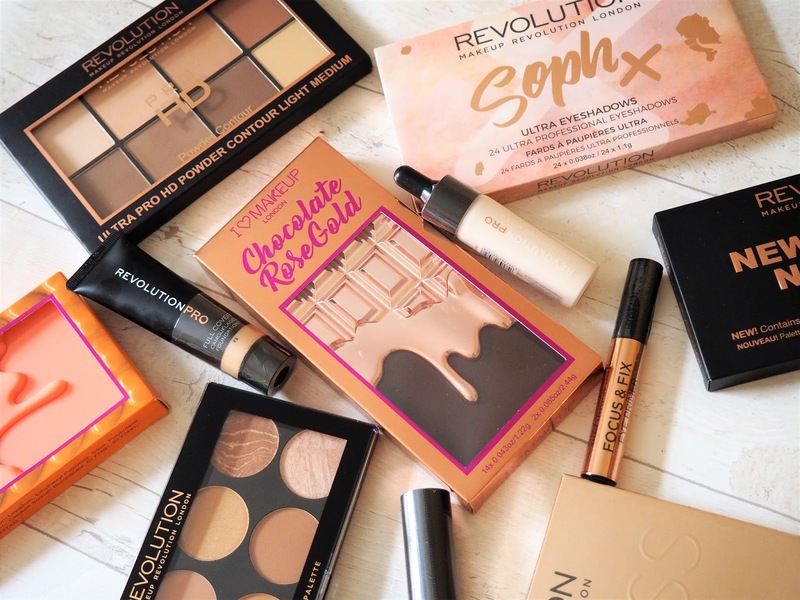 Next up I bought both a contour palette and a bronzing palette. 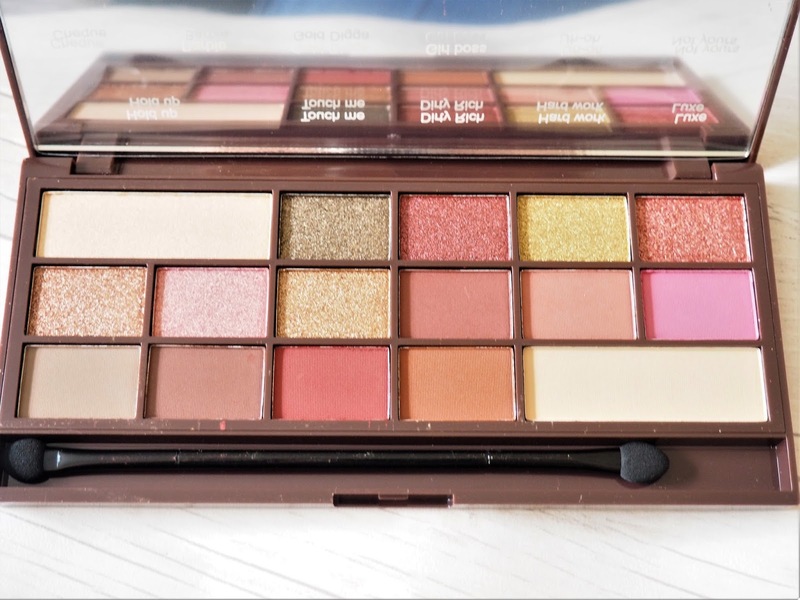 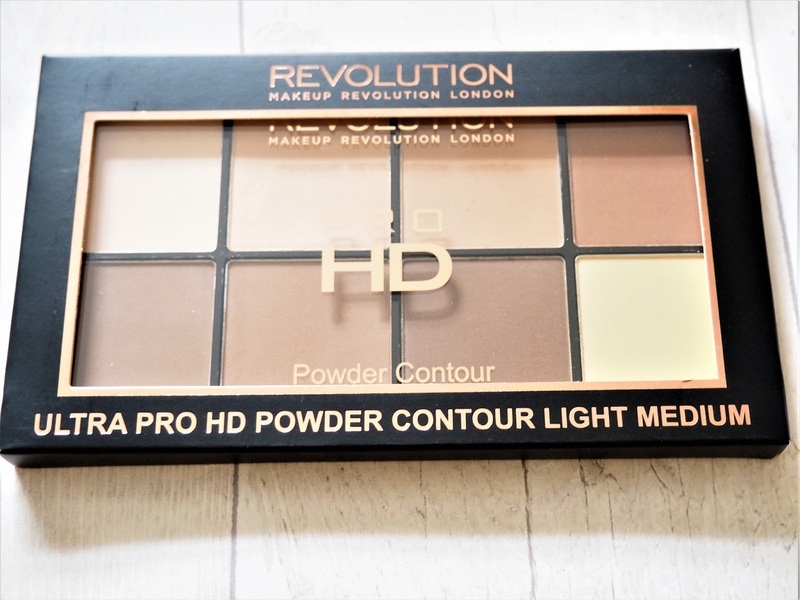 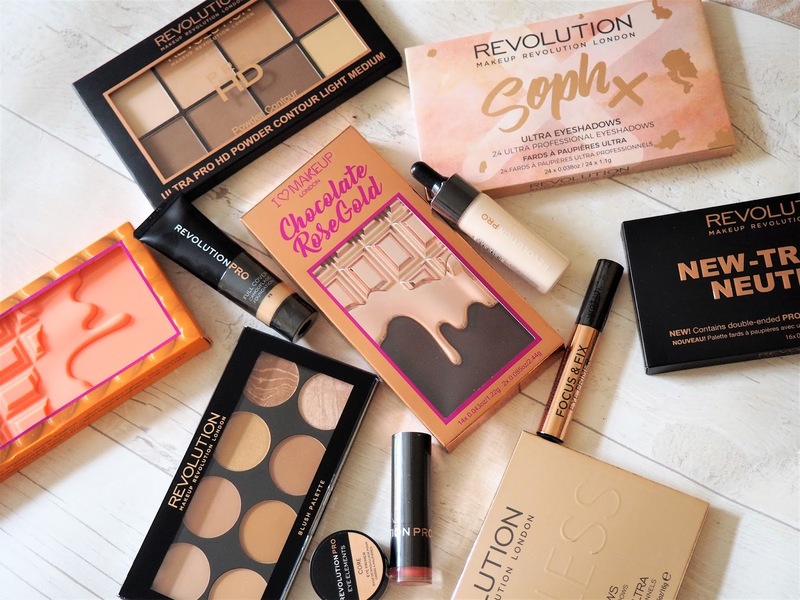 I love this contour palette, however, I think the shades are slightly too dark for me so I am going to send it back and buy the lighter palette. 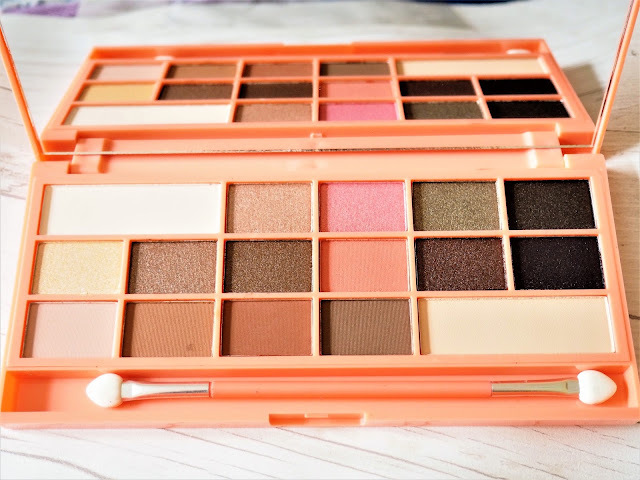 I also really like the shades of the bronzing palette, my only concern is that the pan sizes are quite small so it would be tricky to pick up a lot of product using a larger brush. 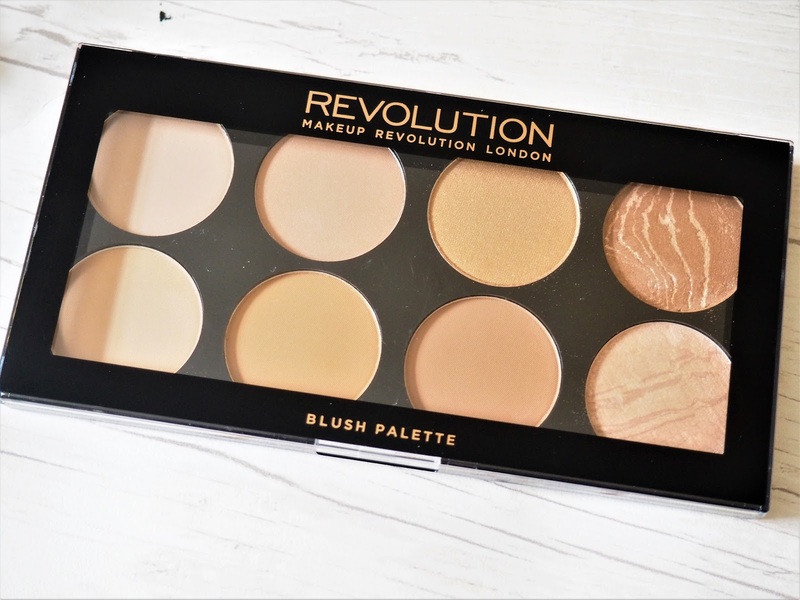 Finally I picked up the latest foundation from Revolution, the Full Cover Camouflage Foundation. 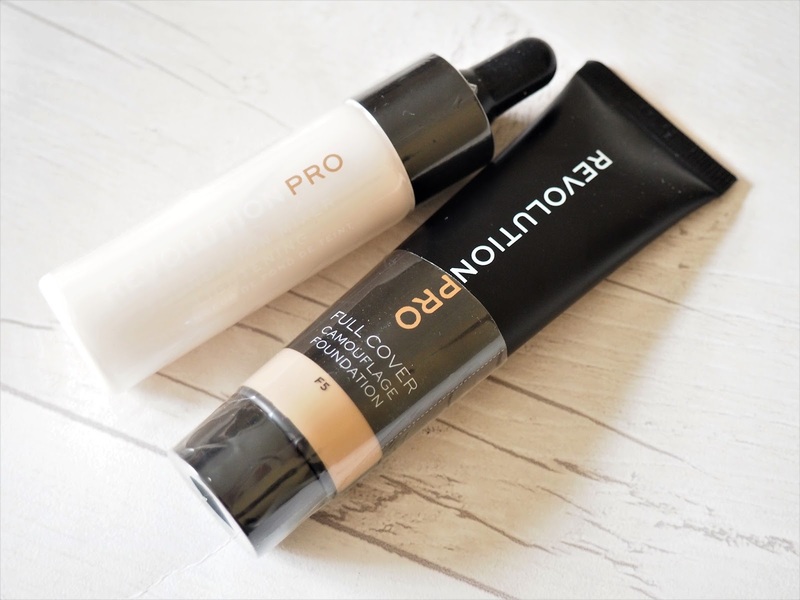 I love a full coverage foundation so am looking forward to trying this out and, if it lives up to expectations, it's a bargain for £7. I noticed they also did foundation lightening drops, which are a genius idea so I popped them in the basket as I have a few foundations in my stash that are too dark for me. 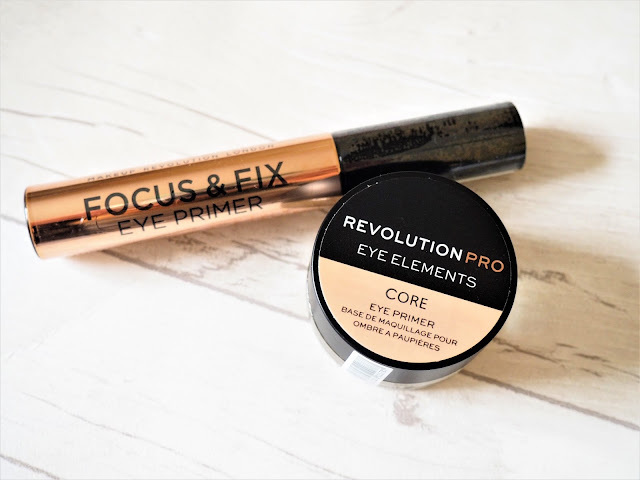 Also with all these eyeshadows I picked up the Focus & Fix Eye Primer (also a bargain at £2.50) and the Pro Eye Elements eye primer, which looks more like a concealer paste and will act as a heavy duty primer.